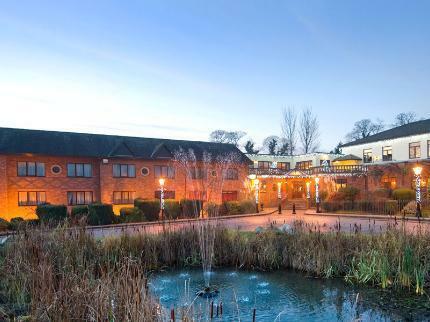 A delightful 3 star hotel situated 2 miles from Stockport centre and only 10 mins away from Manchester International Airport.The hotel offers 140 bedrooms with all the facilities and standards would expect to make your stay comfortable and enjoyable. However every bedroom has one thing in common, the excellent facilities These include colour television, trouser press or ironing systems, hairdryer, tea/coffee tray and of course a private bathroomwith bath and shower. We also have deluxe rooms many with their own private jaccuzzi. Satellite TV, tea and coffee facilities and a power shower feature in all rooms. Some rooms include views across the Goyt Valley. Free Wi-Fi is available throughout the hotel. We have four conferencefunction suites catering for 8 to 150 people. Four of our conference suites have high speed Internet facilities available for your use. Our world-famous nightclub, Bredders Country Club, open Friday & Saturday Nights Extended throughout December.